The Most Common A/C Problems – AirZona HVAC Inc.
Summer in Phoenix can be miserable if your air conditioner is not working properly. We are known for our “Dry Heat” but during monsoon months the heat and humidity can put a strain on your air conditioning system. 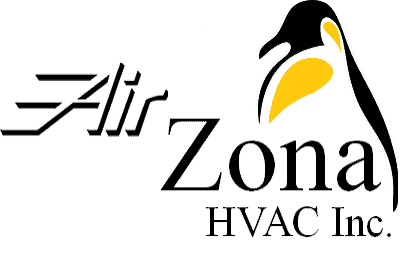 AirZona HVAC will uncover some of the more common air conditioning problems to help you get through those rough summer months. Air Conditioner not cooling properly? How do your air filter look? A dirty or clogged air filters can cause big problems with your air conditioning system. A dirty filter will restrict the air and may cause the unit to freeze causing poor airflow and cooling or worse. Try changing the air filter and turning your air conditioner off for a few hours to allow the unit to defrost. Not all air filter are created the same. I recommend looking at for the right air filter for your system. If this does not fix your issue a service call will be needed. Thermostats can make all frustrated when it is not working properly. Make sure the fan switch is not set to “ON”. During the humid parts of our summer the fan running all of the time will bring the humidity back into the home. A simple fix is to place the fan switch in “Auto” and allow the thermostat to run normally. You should start to feel the difference in a few hours. Is the air conditioner running for long period of times and the air is not as cold as it use to be? You just might have a refrigerant leak. Without the correct amount of refrigerant in your system it will never cool properly and cost you more money on your utility bill! If your system experiences this, you need a professional HVAC technician to assess the issue and mend the leak. Air Conditioning Not Powering On? Is the thermostat screen blank? This may be an easy fix! Try changing the batteries. Dead batteries may cause your system from powering on. Circuit breaker tripped? If you are comfortable with looking in your circuit breaker box check to see if the breaker for the air conditioner is tripped. Sometimes it looks like it is “ON” but flip it “OFF” then turn it back on. Lots of times a breaker does not trip all of the way. If your air conditioner comes on and cools with no further problems….great! If the breaker trips aging this is a bad sign. You have a short somewhere in the system and a air conditioning professional will be needed to troubleshoot the issue. Is the thermostat set correctly? I know this sounds silly but I have been called out in the middle of the night to fix a air conditioner when it was just a matter of turning the thermostat to “Cooling”. Or the program was off and need to be reprogrammed. The only way to ensure your system is ready for the heating and cooling season it to have a professional come out and preform a annual maintenance. This will not only give you a peace of mind that you will stay cool for the entire summer but save you money on your utility bill. For any other questions or problem call AirZona HVAC and we will be happy to help you.